Despite many attempts to tame the wilderness that once existed here, nothing truly succeeded until the name of the Largo da Campina was changed to Praca da Republica, and it was decided that a monument to the republic would be erected here. The monument, by Michele Sebastiano, is of a woman representing democracy; with an olive branch in one hand for peace; and a lion-riding genie for freedom; and there are two shields for Probity and Union. There are also two pavilions on site – the Teatro Waldemar Henrique and the Art School of the Federal University of Pará. 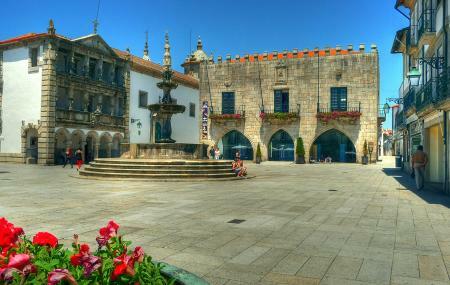 The romantic square is usually a fun place for a stroll, but a few times in a year major celebrations such as the Cirio de Nazaré, the Race Day and the parade of September 7 are held here. How popular is Praca Da Republica? People normally club together Universidade Federal Do Para and Estacao Das Docas while planning their visit to Praca Da Republica. A bubble of tranquility in the heart of the city. Nice to walk the dog too!